This video essay is about land stewardship and some of the people dedicated to preserving and caring for Northern Michigan’s historic landscapes. This video is also about fighting invasive species to preserve a working farm with the help of prescribed burning. Driving north out of Harbor Springs along M-119, you will encounter the Tunnel of Trees Scenic Heritage Route. The incredible beauty and scenic views are breathtaking. One of the most impressive views of Little Traverse Bay and Lake Michigan along the route is on a curve overlooking Sevenmile Point. Part of this beautiful viewshed is the historic Angell Farm and the rolling hillsides dotted with sheep grazing in the bluestem grasses. Once platted for the development of 20 houses, this unique farmland was purchased and protected by Sally and Ian Bund. 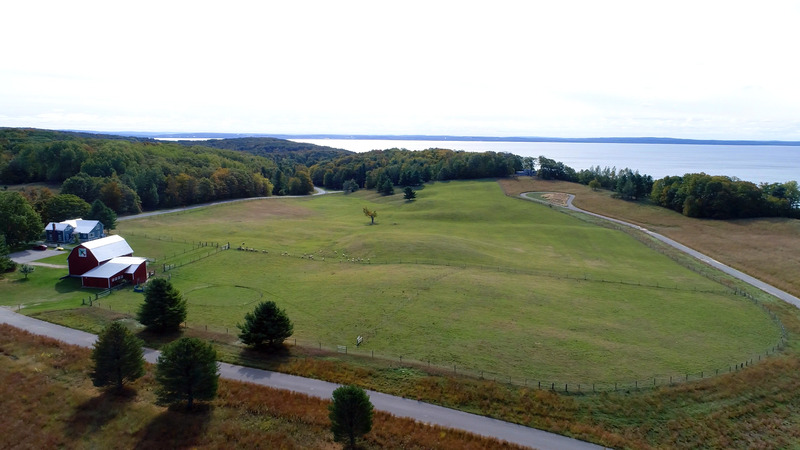 Committed to the preservation of both the historic buildings and open farmland, the Bunds have assured that this 80-acre viewshed will be forever protected by establishing a conservation easement with the Little Traverse Conservancy of Harbor Springs. Over the last 5-years, the Bund’s have gone much further working with Vern Stephens, a native plants specialist (Designs by Nature, LLC) to rid the land of the destructive invasive plant known as spotted knapweed and install native Little and Big bluestem grasses. This fall, working with the Little Traverse Conservancy and a team of fire specialists, they completed a controlled burn to support the native grasses and keep the knapweed out. 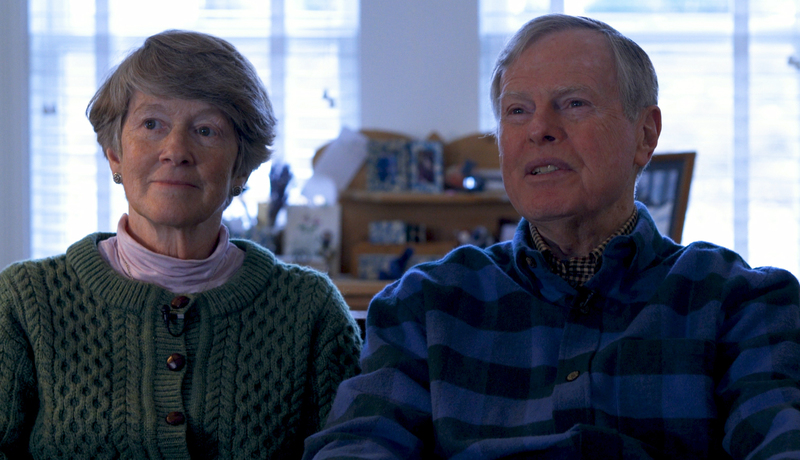 Watch this video to meet Sally and Ian Bund, the Little Traverse Conservancy’s Derek Shiels, and see some beautiful views of Angell Farm before and after the controlled burn.